“Why is there not peace yet? How can we make peace when we have rabid murderers living among us? Instead of prosecuting them, we enable them to appear on TV and to boast about their murders…. If you do not even bring to account a murderer who says, ‘killing was my art,’ who will you bring to account?” — Şener Levent, the editor-in-chief of the Turkish Cypriot newspaper Afrika. So far, these “rabid murderers” have not been held accountable for the slaughter of innocent Greek Cypriots: the ethnic cleansing of northern Cyprus. The greater issue is that he and his partners in crime were aided and abetted by the Turkish authorities. All of those responsible need to be tried at international criminal tribunals — the sooner, the better. The Turkish president’s repeated verbal attacks on Greek Cypriots also shed light on a recent interview, broadcast live on Turkish Cypriot TV, with 84-year-old Turgut Yenağralı — a former member of the paramilitary Turkish Resistance Organization (TMT), founded in 1957 and known for its criminal activities in Cyprus. “We traveled across Cyprus and either beat up or killed those who committed crimes against Turkishness,” he began. Yenağralı: There is nothing more enjoyable… We took great pleasure after we killed those people. Yenağralı: Why would anyone [care]? Criminal or not… As long as they are kafirs [infidels], they belong to the same race of dogs… When we wanted to shoot the kafir, [the two women members of the group] hid guns in their [brassieres] and carried them for us. Yenağralı said that he and his friends were never told by Turkish Cypriot leaders to reduce or stop their activities. This omission is probably not surprising, given that one of TMT‘s key founders was Rauf Denktaş, who served as the head of the “Turkish Federated State of Cyprus” between 1975 and 1983 and subsequently as the president of the “Turkish Republic of Northern Cyprus” from 1983 to 2005 — both “states” recognized only by Turkey. He also expressed sadness that a Turkish commander prevented him from killing Greek Cypriot prisoners of war on the Karpas peninsula after the invasion. “I am still grieving over missing [that opportunity],” he said. Yenağralı said he was also involved in transporting illegal settlers from Turkey to Cyprus, to replace the Greek Cypriots who had fled the carnage in the northern part of the island to seek refuge in the free, southern part. 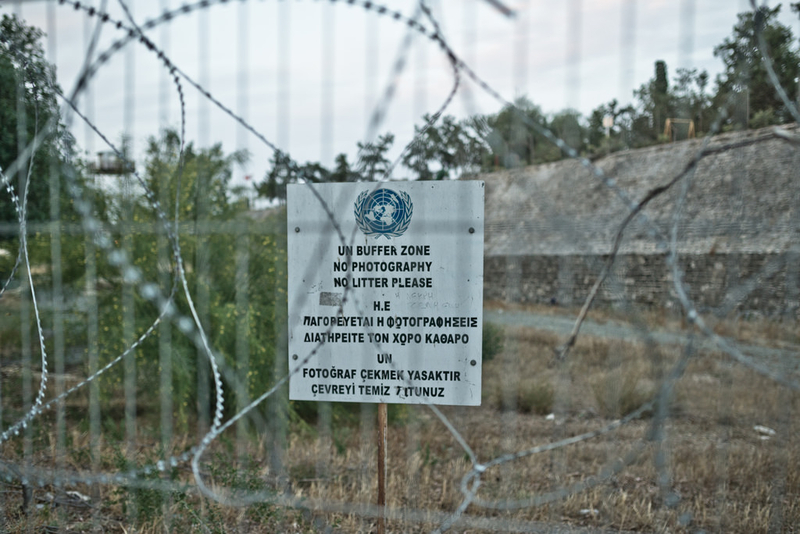 The invasion was what changed the demographic structure of the island, turning what was once a Greek majority in the north into a Turkish area for the first time in the island’s history. One thing Yenağralı’s confessions do is to expose the lie behind Turkey’s referring to its invasion as a “peace operation” launched to protect Turkish Cypriots. Turkey, as Yenağralı illustrated, had been involved in criminal activities in Cyprus for decades prior to the invasion — both before and after Cyprus’ independence in 1960. “Our Greek Cypriot brothers who have migrated from Mesarya [Mesaoria] villages who read this might ask: ‘Did this man [Yenağralı] kill my father? Did he kill my mother, my sibling?’ I too would ask if I were them. This man is still alive and lives in Mağusa [Famagusta]. I know he is not the only one. There are others. A citizen of ours says that ‘another one in Serdarlı [Tziaos] also boasted like that for crushing the head of a Greek Cypriot with a piece of rock. And he is proud of that! This entry was posted on June 6, 2018 at 2:53 PM and is filed under Uncategorized. You can subscribe via RSS 2.0 feed to this post's comments. You can skip to the end and leave a response. Pinging is currently not allowed.